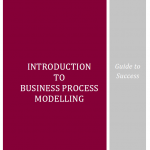 Guide to success with the BCS Modelling Business Processes course. This course in our ‘Guides to Success’ series supports the syllabus for the BCS Practitioner Certificate in Modelling Business Processes. The course is for people wishing to develop their understanding of and expertise in modelling business processes and for those wanting to take the examination for the BCS, Certificate in Modelling Business Processes. Study in their own time. To gain maximise advantage from the upcoming course. Increase the likelihood of scoring highly in the exam. Renowned business process authority, Paul Harmon, is quoted as saying that if you want to develop good requirements you need to do so in context of business processes. Contribute to a process improvement project. Determine requirements for a system; this is true whether requirements are gathered in an agile or a traditional manner. Many companies still fail to see the true start and end points of their business processes and see only activities performed in functional silos. This can blind them to realising business opportunities and the achievement of business agility. Identifying the true end to end processes is fundamental to many business change programmes. Once the end to end processes have been identified, the business can see the relationships between them, their structure, and their relationship to business rules and data. At this point the business can consider how their processes might be assessed, improved and better supported by IT for competitive advantage and business agility. Requirements for improvements to IT systems can be discovered in the context of the business process, business data and business rules. The course is online. It uses a mix of video, text, quizzes and practice examinations. There are seven modules containing a total of 27 lessons. Each lesson features a video overview, a comprehensive workbook, and a multi-choice online quiz with annotated downloadable answers. The current form of the BCS exam is scenario-based. To provide plenty of practice for that there is a comprehensive case study exam style questions and annotated answers. Modules, including their lessons, are revealed one at a time. We recommend a pace of one lesson per day. This is intended to help you to structure and pace your study. Note that you are likely to have to wait at least several weeks for a seat at an examination centre; there is therefore no rush to complete the course in advance of this time. The final module of the course contains the practice exams. These were created by Capiro when we were accredited BCS exam providers. They were real exams, approved at the time by the BCS. See ‘Important’ note about accreditation, below. Even though this is an online course, there is no need to do everything alone. We will support you throughout your learning experience. The course is supported with regular emails that give guidance and encouragement. Delegates can contact Capiro by using a ‘member only’ contact form. Delegates can use this to raise questions, seek help, provide feedback, and so on. Currently the only format for the ‘Certificate in Modelling Business Processes’ exam is open book, scenario based. This form of exam must be taken with an accredited BCS exam provider. A list of providers is given on the BCS web site. If you take your course online, with us, you will need to find a provider that offers an ‘exam only’ option. Check their web site to see if this option is available. Also check that the provider is conveniently located for you. If you take a course with an accredited provider, you will normally be able to take their exam at the end of the course. A new syllabus (opens in new tab) is being developed on behalf of the BCS. We understand that the exam will be in a multi-choice format rather than the current scenario based written exam. No date has been given for the release of this syllabus. Why take an online course with Capiro? As well as the price difference compared to other similar courses, there are many reasons that you may choose to take your course online with Capiro. See our Frequently Asked Questions. We examine some definitions of a business process and consider the purpose of business process modelling. A framework for business process modelling is introduced. The session looks at various forms of business process model and explains how to create a hierarchical structure of business processes. A traditional functionally oriented view of an organisation is contrasted with a more customer focused process oriented view. We describe how to create an ‘organisational view’ that demonstrates an organisation’s top level processes in the strategic context of the organisation. The session explains how to identify the processes that form the organisational view. We explain how to represent an organisational view as a ‘process map’ that demonstrates the processes and the relationships between them. We close the module by considering the all-important topic of delivering value to customers and examine the components of a value proposition. Having now identified the end to end business processes, this session demonstrates how to model the structure and workflow of an individual process in terms of its component tasks. The modelling technique used is Activity Diagramming. We chose this approach because that fits easily with the technique used in the BCS book, ‘Business Analysis’. We examine the modelling elements of activity diagrams. We then show how to use these elements to model the current implementation of a business’s processes; this is the so called ‘As-Is’ model. Having identified the component tasks of a process and their relationships within that process, we consider ways of documenting the detail of the tasks in terms of their steps. We also look at how to document business rules. In this module we first see how to measure the performance of processes and their tasks. Measurements form the basis for identifying problems in the processes. Process improvements are, at least in part, based on the problems. We also consider innovations that are possible the combination of re-thinking the process and exploiting today’s technologies. The module closes by seeing how to create a model of the improved improved process; this is the so called ‘To-Be’ model. The final session proposes approaches to transition from the modelling phase to the implementation of the newly designed improved process. We consider strategies and detailed plans for implementation. We exam how our new processes provide a context for discovering requirements for IT support. The module also examines some of the ‘softer’ aspects of implementation, such as culture and people management. This module closes with a brief look at continuous improvement. There will be two practice exams. Although Capiro is no longer an accredited BCS exam provider, these courses were created and approved at the time where we were. They were real, BCS accredited, exams. We will also provide 2 more exams that were not accredited but which represent the style of a typical scenario based exam. All course delegates who intend to take the associated examination for the BCS Certificate in Modelling Business Processes must ensure that they familiarise themselves with rules covering provision of photographic identification and the guidelines on eligibility for requesting additional time for the examination. Please click this link to see the BCS identification policy.